Pure and simple, this is the stuff that most people would have grown up knowing to be tequila. Although still the dominating style with regards to sales, ‘regular’ tequilas are today being challenged by 100 per cent agave tequilas, which is where the majority of the growth in the category is coming from. A regular tequila needs to be made from at least 51 per cent blue agave sugars, with the remainder traditionally being made up from non-agave sugars (such as corn, cane, or molasses). These sugars are mixed together prior to fermentation. 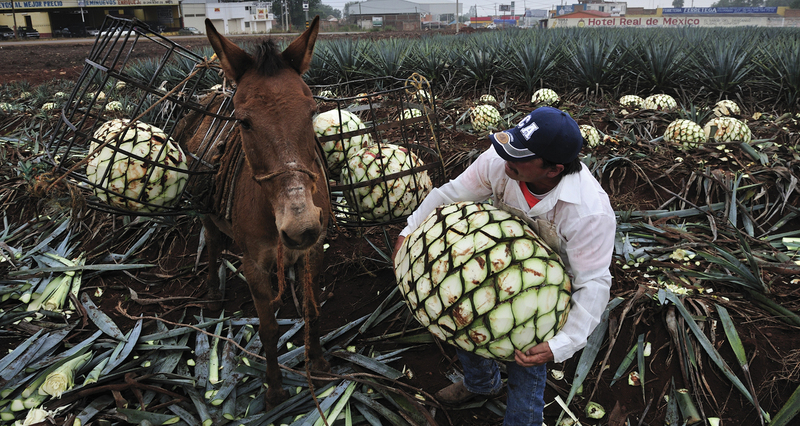 Regular tequila may be shipped in bulk and bottled outside of Mexico. 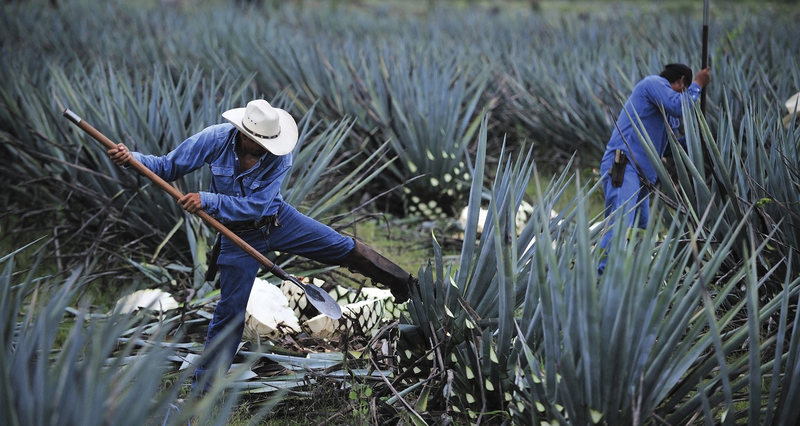 Unbeknownst to most, all tequila used to be 100 per cent blue agave tequila. When the official standard was established in 1949 it called for 100 per cent of the alcohol to come from blue agave sugars. Over the next two decades, this would change to the current requirement of 51 per cent. For true tequila connoisseurs however, 100 per cent blue agave is where it’s at. If a tequila is labelled as 100 per cent agave or 100 per cent agave azul, this serves as a guarantee that the spirit is made entirely from blue agave and that it has been bottled in Mexico. Blanco tequila is normally an un-aged white tequila that is more or less straight off the still; although some producers do age their blanco tequila for a few weeks. The maximum age for blanco tequila is 60 days. Often known as Gold tequila (unaged regular tequila), which has been adulterated with colouring and flavours including caramel, glycerine or wood chips to give it colour and flavour. 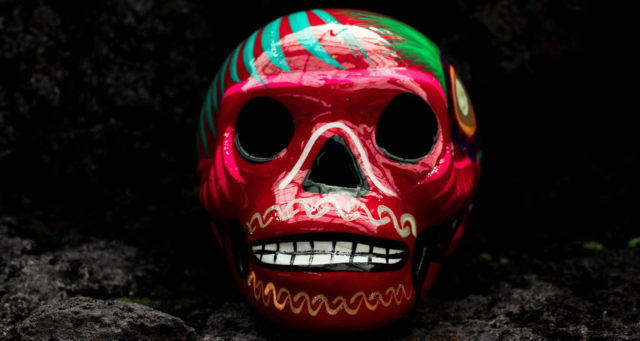 Blanco may be blended with aged tequila to create 100 per cent agave Joven or Oro tequila. For example, Casa Dragones Joven tequila blends un-aged tequila with a small amount of five year extra añejo. If the label reads 100 per cent agave, the tequila cannot contain any other additives or flavourings. Reposado means rested and refers to tequilas that are aged from two months up to a year in oak casks or barrels with no size limit. Reposado was the first style of aged tequila and is today the most popular style in Mexico. A Reposado tequila served with sangrita on the side is the authentic way to enjoy quality reposado tequila. A reposado tequila is commonly served with non-alcoholic drinks called sangrita (little blood) that is similar to a bloody mary mix. While reposado tequila can be stored in casks as large as 20,000 litres, añejo tequila can be stored in barrels of no more than 600 litres, although the majority would be stored in ex-bourbon barrels of around 200 litres. Añejo tequila must be aged for a minimum of 12 months. Añejo tequila is best enjoyed neat as you would a Cognac or served over ice. This is a relatively recent addition to the NORMA and was introduced in 2006. The requirements with regards to barrel size remain as per añejo, however, to earn the extra añejo classification the tequila must be aged for at least three years. These are highly expensive tequilas with limited availability and should be savoured as you would other fine and expensive spirits such as Cognac or Armagnac. Previous articleSydney Favourite Hartsyard is Back! Next article8 Cocktails to Celebrate Chinese New Year!